The survival chances of the members of each persecuted group depended not only on what place the SS gave them in the hierarchy of inmate society, but also by the feeling of togetherness and the degree of organisation of each section and also on the duration of their stay in the camp. One of the highest rankings in the social structure of the camp therefore was taken by the "old established" German political prisoners. They not only had access to functions in the prison administration, had established a special network for mutual aid and solidarity, which went rather far in its concept. The respective inmate functionaries tried to give members of their group activities where they were protected against hardships and harassment and could afford in return give some contribution to the network when they had been assigned to duties, such as the kitchen, in the dressing room, in the infirmary or in a "good" work detail. The Polish women, who after their arrival in the camp were initially on a lower rung of the social ladder, and many were exposed to harassments, thanks to their strong national cohesion, over the years they also obtained a share of the power functions. During 1942/43 transports of Russian and French women came into the camp, the Polish women rose in the hierarchy and the recently arrived women took their place. The lowest survival chances had the Sinti and Roma and Jewish women, especially the Hungarian Jews, which at the time of the chaotic overcrowding came to the camp in 1944. Most of them remained in the gruelling work details, where the opportunities to obtain extra food, were very low. They had little chance of being included in the infirmary when sick. They were also unable, in contrast to other groups of prisoners receive food parcels, which played a large role since 1942. The Austrian Romni writer Rosa Winter recalled later: "The Jews and the Gypsies were in there the poorest. The Politicals, they did not have it so bad in there. They were in the office and the kitchen. They did not have it so bad, but the Jews and the Gypsies, who were in a pot. " Anyone of the women that did not belong to an organised community and it's strength, often perceived their solidarity and cohesion as exclusionary. In fact, the assistance provided, given the extremely limited opportunities, especially for the weak and sick in their own group was exemplary. Despite all that, there were also instances of cross solidarity. The German communists helped newly arrived Resistance fighters from other countries. 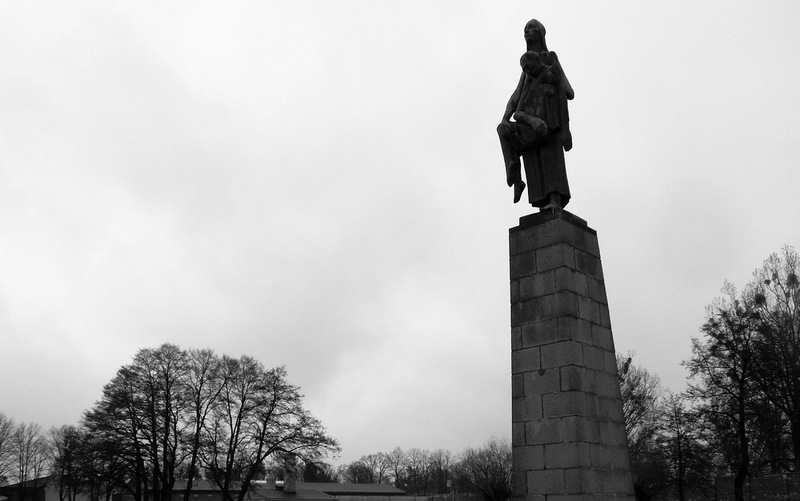 Above all, the Polish women took care of the children and young people. Polish and German inmates organised 1944 a Christmas celebration for children in the camp, which was for them a family affair. 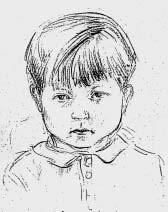 "Drawing of murdered child", by Aat Breur. Little German boy four or five years old, without parents in the camp. He was accompanied by a small group of German children in different age groups in Ravensbrück. Meta de Leur has made efforts to look after him. In the autumn of 1943 the children were taken with the first "Jewish transport" to Auschwitz and gassed. The portrait was carefully kept by Meta de Leur. From Ravensbrück it is often reported of friendships between any two, three or four women who worked together, slept in the same bed and supported and encouraged each other almost daily to carry on. Perhaps these small communities within a large-scale organised group existed or transversely played an important source of power for survival, the transmission of the meaning of life. Prisoners who have had long term imprisonments in a jail or in the camps behind them, had lost increasingly touch or connection to life "outside", with their spouse, children or family members. The utter demoralisation or submission to the raison of the SS, they could only oppose by solid emotional relationships with other inmates. There are reported instances that older women as "camp mothers""adopted" girls or young women and cared for them. Thus arose relationships that were life-sustaining for both sides. 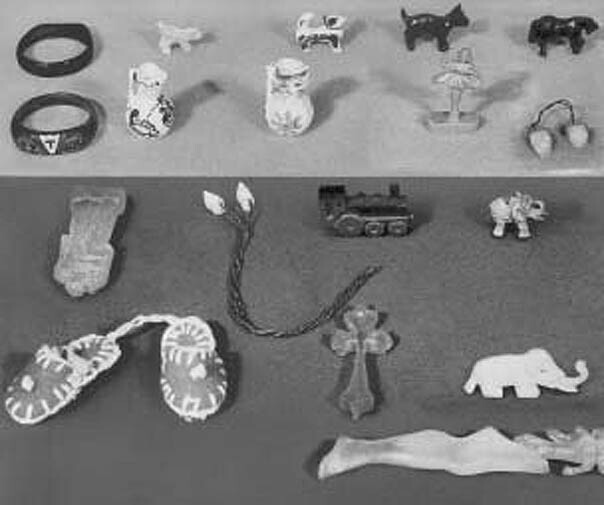 Sybil Milton refers to these formation of such "small family" as a specifically female survival strategy (Überlebensstratagie). With the use of their social role as housewives and mothers, they proved to be in mental and physical terms more resilient than men. Many women had the ability, to endure and go with little food, to mend torn clothes over and over and to make something new from textile remnants, just bits and pieces.. These skills they possessed by nature and did benefit them in the camps. With their daily struggle for physical hygiene and proper clothing (ordentliche Kleidung) they tried to keep their female identity and dignity. "I used to gain the impression", so Germaine Tillion quotes,"that the friendly help and support in the women's concentration camps was persistent, was strong and more widespread overall". Tillion also mentions that the number of deaths in concentration camps of male prisoners was on a percentage basis higher than in the female, and tried this phenomenon to explain: "They [the men] were suffering despite, from the same or higher rations even more hunger, were worse off, and came quickly to death". In Ravensbrück, there had been less "death squads" as in the men camps, on top of that the relations of male prisoners were characterised by great hardness and arguments under each other with resulting brutality. Gabriele Pfingsten and Claus-Füllberg Stollberg contradict this explanation and refer to the specific female survival-strategies that have not been sufficiently researched or far too little. One of the important survival aids at Ravensbrück were art and culture. Many women in the camp started to write poems, draw or carve figures. After their liberation, these creative activities lost most of their existential meaning again. Others told each other the contents of books, sang songs, gave lectures or painted and created imaginary refined cooking recipes. Such activities were not only part of the privileged circle of the prisoners, who had no hard physical work to do and lived in clean barracks. In a bleak and humiliating life, were all colours, pictures, songs and books had been banned, art and culture were especially in existentially-threatening situations an outlet that saved them from mental and spiritual starvation. Unlike Auschwitz, Buchenwald, Sachsenhausen and other camps where there were official prisoner orchestras, approved cultural events, soccer games, and even film screenings, in Ravensbrück any artistic expression seem to have been forbidden (verboten). It was not until just before Christmas 1944, that the camp administration allowed the prisoners for the first time, to form choirs. For the Christmas party for the children they were allowed to rehearse a puppet show. But since about 1943, because of the increased overcrowding of the camp when the SS lost track of the events and the risk of being punished, these activities diminished. In the blocks the women would sing and dance instead or more frequently gave lectures. The majority of artistic expression was of individual art. For the authors, the passing of a poem was not even a piece of paper or a pen available. The little book of poems, which the Dutch Aat Breur secretly produced in the book bindery of the camp and gave to her friends at birthdays, were in this respect a major exception. Most of the poems were first orally composed, repeated and in this way passed on. 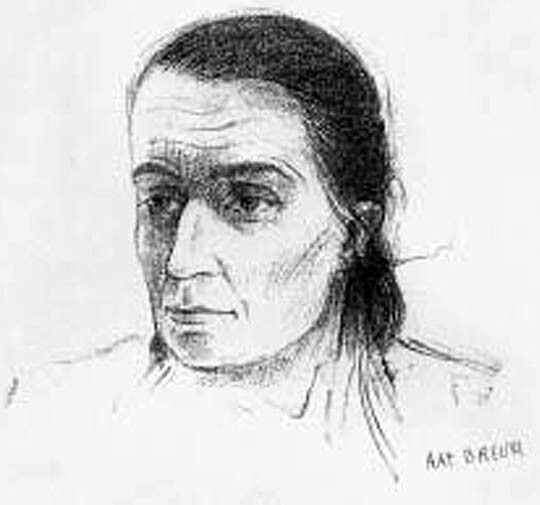 Drawing by Aat Breur of Inmate Doctor Hautval. "Her activity and help in the infirmary saved many life's, including that of Aat Breuer's". The "poetry" of thoughts and feelings was for many women an opportunity to express their hopes and aspirations, but also to document the camps reality and to strengthen the will to resist. In this community of suffering, they were an appreciative and attentive audience, and made the often very simple and catchy verses their own, they learned them by heart and passed them on to others. In contrast, it was difficult and even dangerous, to make drawings and to pass them on, because one had to obtain paper and pencils first. During searches with threatened sanctions and the destruction of the pages, let alone the punishment the risk was great. Many prisoners, however, were willing to take risks for a drawing and privations. They tried to make "their" artist's life more bearable by giving them decreased heavy physical work assignments. Often, they even sacrificed their bread ration for a portrait of a loved one and hid the sketches from the grasp and destruction of the SS. It was among the inmates professional artists and amateurs, that they first began to draw in the camp. 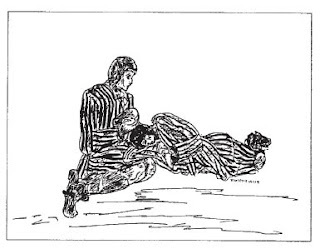 Most of their drawings, which are now on display in exhibitions, are of a women's concentration camps and were drawn after their liberation from memory because the original drawings were lost or destroyed by the SS. Like the poems they have become less important as art, but evidence of the reality of a camp that are more meaningful than the photos and documents, which are almost all from the perspective of the perpetrators. The drawings of the inmates portray the will power of self-assertion and resistance in inhuman conditions. verklärt in Weisheit, von Schönheit umschützt. und all deine schützende Schönheit verweht. Poetry by Stefanie Kunke Poetry in German. She wrote in the political Block fairy tales and poems, in spring of 1942 taken to Auschwitz for the construction of the camp there, in December she died of typhoid fever. At the top of the hierarchy of the SS concentration camp at Ravensbrück was the commander. The five divisions onto which the administration was based, (as set out in any camp) were led by men. 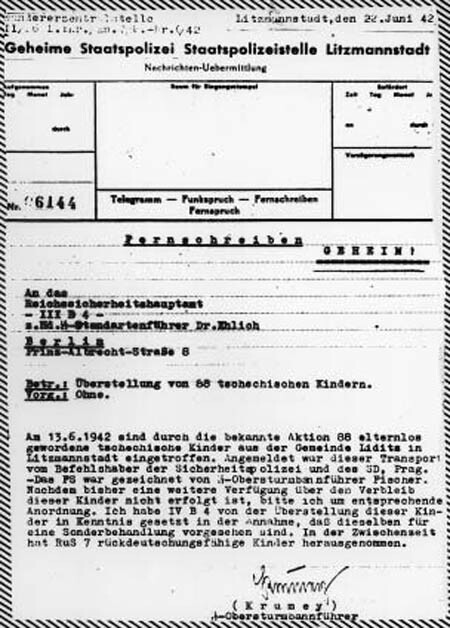 Under the camp protective custody leader(Schutzhaftlagerführer) came two female superintendents (Oberaufseherinnen), one for the office staff and one for the external commandos. They in turn controlled the supervisors (Aufseherinnen), who in Ravensbrück exercised direct control over the prisoners. According to the elitist self-understanding of the SS, women could not become members of the organisation. They belonged only to the "female SS entourage" as rapport leaders, labour service leaders, block leaders, column guides, arrest leaders, dog handlers, in other words, technical or maintenance staff for certain areas in the camp, they formed the lower level of the concentration camp administration. For the external security of the camp, the soldiers of the SS Guard Battalion were responsible. The first Lagrkommandant of Ravensbrück was SS Hauptsrurmführer (Captain) Max Koegel, who had previously acted as an officer in charge of KZ Lichtenburg. In August 1942 he was transferred to Lublin-Majdanek. There he had directed the construction of the gas chambers, then he took over in May 1943 the post of commander of Flossenbürg. Koekels successor at Ravensbrück was SS Sturmbannführer (Major) Fritz Suhren, an administration official who had previously been protection camp leader at Sachsenhausen . He remained until April 1945 Commandant of Ravensbruck. Among the numerous SS officers of the administrative camp staff, the survivors recalled especially Gustav Binder, head of the tailoring department, who would beat and harass the women working there. Notorious for his brutality and always drunk was the labour leader Hans Pflaum. Anther one was Schutzhaftlagerfiihrer (camp protection) Johann Schwarzhuber who came later during January 1945 from Auschwitz. According to Germaine Tillion Haupsturmführer of the SS[Max Koegel,sic] was considered a "specialist of death" but that he had abstained personally from any brutality. 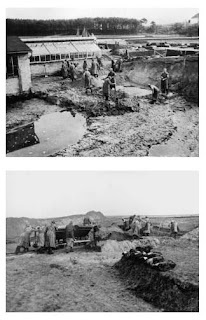 In recent months during the existence of the camp Schwarzhuber led the murder-actions. Crime-Assistant Ludwig Ramdohr who managed since July 1942 the Political Department at Ravensbrück, was feared not only among the prisoners, but also by the SS as he had established in the camp with the help of terror and brutality an extensive spy system. The first superintendent (Oberaufseherin) of Ravensbrück was Johanna Langefeld who had already held this function in the Lichtenburg concentration camp. In March 1942, Langefeld was transferred to Auschwitz in order to build together with overseers and Prison Functionaries from Ravensbrück the women's section at Birkenau, as the women's camp at Auschwitz was sub-ordinated from March-July 1942 to KZ Ravensbrück. In place of Langefeld came as overseer Maria Mandel originally from Austria. By October 1942 Langefeld returned to Ravensbrück and Mandel was put in her place stayed at Auschwitz-Birkenau. Margarete Buber-Neumann got to know Langefeld better when she was typist-clerk for her in October 1942: "She was among the prisoners of Ravensbrück reputed to be >decent< she never violated anyone or kicked you,as others did". Margarete Buber-Neumann had the impression of the Oberaufseherin, a person torn by inner doubts, full of inhibitions and feelings of inferiority. From her dislike of the entire SS camp administration, she also made no secret in front of her [prison,sic] staff that worked in her office. Buber-Neumann took every opportunity to exploit this situation in the interest of prisoners. In April 1943, the culmination of the tension between the camp commander and his superintendent came finally to a head and Langefeld was brought before an SS court. Margarete Buber-Neumenn and other women who enjoyed her sympathies, were locked into the bunker for some length of time. The successor of Johanna Langefeld was Dorothea Binz who was the daughter of the forester from Altglobsow, a municipality in the area of Fürstenberg. From surviving prisoners Binz is portrayed as a pretty young woman who was feared for her rage and cruelty. She had already had worked since September 1939 as a Aufseherin (overseer) in Ravensbruck until 1943 when she was leader in the cell block. Germaine Tillion also reports of a second Oberaufseherin called Klein-Plaubel, who was replaced in early 1945 by Luise Brunner from Auschwitz-Birkenau. Like Dorathea Binz some of the overseers and supervisors came directly from Furstenberg or from that region. But not all volunteered for this task. With the growth of the prison population, so grew the need for of female staff. The commandant published ads in the local newspaper. 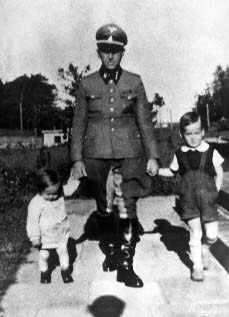 [The officer in charge Bräuning [Edmund Bräuning was the boyfriend of Dorothea Binz and lived together within the camp, although he was married at that time.sic] even went into the factories of different counties to recruit factory workers. For the women what was in sight and offered, was a light physical activity in a re-education camp. The pay was much higher than that for a worker in the defence industry. There were also other additional benefits: accommodation in cheap, comfortable houses, communal meals, free uniforms and care for children in an SS-owned children's home. Especially single mothers, this opened up the opportunity to free themselves from their social marginalisation. An example of this which was typical is that of a women from Furstenberg, Margarete Mewes, who became the cell block leader. As a single mother who had to make a living for herself and her three children which previously she earned as a maid. As a supervisor, she climbed in society, although she was greatly feared by her neighbours ever since, rather then respected. [Binz fled Ravensbrück during the death march, was captured on May 3, 1945, by the British in Hamburg and incarcerated in the Recklinghausen camp (formerly a Buchenwald subcamp). Binz was tried with other SS personnel by a British court during the Ravensbrück Trial and was hanged at Hameln on May 2, 1947 for war crimes. Margarete Mewes; Wärterin; 10 years detention, and was released on 26. February 1952. The newly recruited women were integrated after a short briefing and training in the camp operation. After a three month trial period during which they worked in the Außenkommandos (outside work assignments) with guidance from a more experienced supervisor, the assistant supervisor (Hilfsaufseherin) was promoted to a full fledged supervisor. Both Margarete Buber-Neumann and Germaine Tillion describe, that the "newcomers" who came from all professions and walks of life, the first contact with the camp generally looked frightening to them. After a short time, these "normal women" transformed into but screaming and beating guards. According to Buber-Neumann, on many it was already a decisive turn after they were dressed. "In top-boots, it occurred quite different to them, then the right cap (Krätzchen) was placed askew towards the ear, and immediately they presented a certain self-consciousness". Tillion recalled that the detainees sometimes made "a small but bitter game out of it", ​​to measure the time it needed a new guard until she had reached the "level of brutality" of her colleagues. In general, the duration phase was 14 days, at most it lasted one month. Only in exceptional cases, that women left the camp again, because they did not wish to pursue this type of service. Also, since about 1943, when the Labour Exchange Department committed the women (Dienstverpflichtung) to serving in concentration camps as wardens, the staff turnover did not significantly increase. From 1942 to 1944, Ravensbrück also became a training camp for all wardens in other women's camps such as Auschwitz and Majdanek and Bergen-Belsen concentration camp as well as satellite camps, where a growing number of female prisoners were kept as forced labourers working in armament production factories. Overall, during this period about 3500 Aufeherinnen (overseers) were trained in Ravensbrück. In dealing with the Nazis in the early post-war decades, the role of female concentration camp Aufseherinnen was barely acknowledged and investigated. Individually, such as Dorothea Binz and Irma Greese portrayed as "beasts" and demonized, the others forgotten. For the majority of the wardens that were put to work in a concentration camp it appears to be a normal professional activity. Like their male colleagues, they functioned to obey the system of terror and persecution. Ruthlessness and violence were part of their daily lives, and their behaviour was probably influenced by a strong group pressure. 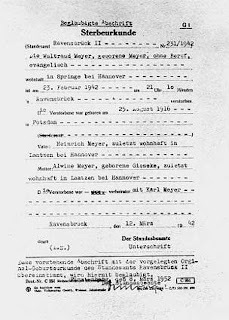 The female overseers at Ravensbrück were involved as well as their male colleagues in the selection of prisoners for extermination, there is no doubt. Still unknown is the total number of deaths of women's concentration camp at Ravensbrück. The memorial site is currently displaying figures on the subject of "tens of thousands" of casualties. The first prisoners of 500 men at Ravensbrück were still there before the opening of the camp that came originally from the Sachsenhausen concentration camp. They erected 1938/39 the first barracks and then returned to Sachsenhausen. The real story of the men's camp, however, begins on April 8, 1941 with the admission of 300 male prisoners from the penal company of the Dachau concentration camp in the area separated from the main camp. [These were members of the SS that made up the so called SS-Strafkompanie who were brutally treated by their own king, only about 110 of them remained in Dachau until 1945. sic]. In remembrance and in research the men's camp remained hidden for a long time. In commemorative events, exhibitions, publications, etc. Ravensbrück was presented solely as a women's camp. Undoubtedly, this was part of the simplistic politics of the communist era, which was not interested in a complex contexts and differentiation. Presumably there was also a memorable competition between men and women. 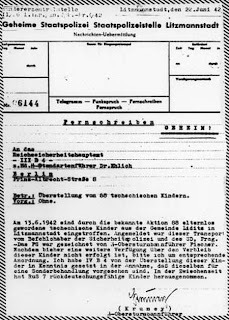 Bernhard Strebel points out that the male surviving prisoners themselves organised late and apparently found no connection to the community of the female camp at Ravensbrück. The men's camp at Ravensbrück consisted of five barracks used as living quarters and one barrack as Wirtschaftshaus (Utility Facilities). It had its own kitchen and infirmary and was led by an protective custody camp leader, reporting to the commandant of the Ravensbrück women's camp. By the end of April 1945 a total of 20 000 prisoners were registered in the numbering books. The average occupancy rate was constant until the end of 1944 between 1500 and 2000 prisoners. After this there was an overcrowding and chaos. This was not a admission camp(Einweisungslager). The first prisoners arrived from Dachau, Buchenwald and Sachsenhausen. The majority came from Poland and the Sowjet Union, followed by groups of Germans and Austrians and French. About ten percent were Jews. In the men's camp, the death rate due to the gruelling pace of work and the mistreatment and harassment by the SS and Prison Functionaries, was in first years much higher than in the adjacent women's camp. By the year 1942, 852 (nearly one-third) died or were in the action "14 f 13" killed. A further 600 people (about one fifth) were in a completely exhausted state which the ambulance services took to other camps. Since 1943, men were transported to several satellite camps, where conditions were often more tolerable than in the Stammlager(main camp). The death toll rose and fell in total only rapidly again when the situation in the last months of the war due to the evacuation transports arriving from Mittelbau-Dora and the Neuengamme camp outside Salzgitter Watenstedt deteriorated quickly. 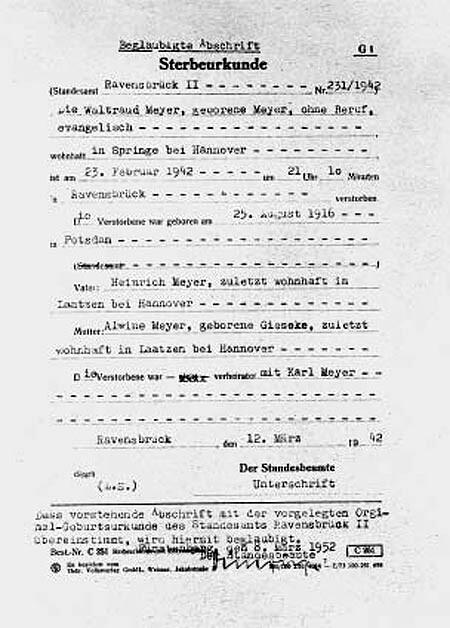 In the numbering records that still survived, there is also evidence to suggest that 104 prisoners were murdered in the gas chambers of Ravensbrück. On 24 and 26 April, the SS forced the prisoners who were still capable of marching in several columns in a north-westerly direction, where they were liberated in the first days of May by American and Soviet troops. Red Army units on the 30 April 1945 found about 800 sick and weak prisoners in the camp. During the following days, every second of them died.